Are your watches brand new? All of our watches are brand new and comes in a box with warranty cards and tags. Does the watch come with the official warranty? Yes, the watch comes with the original manufacturer's warranty. Do you sell any watch accessories? We do not sell any watch accessories at the moment but we are working on it. We offer free ground shipping to all orders shipped within the United States. For international orders, we charge $79 USD for Canada and $99 USD for other countries. It will take approximately 3-6 business days to ship out your order once your payment verification has been completed. Yes, we can overnight your package at an additional cost. The overnight shipping cost varies depending on the destination. Please kindly note that we would still need 3-6 business days to process your order after you make your purchase. Can you provide more photos of the watch? Photos from our listings on our website are actual photos of the watch. We do not use any stock photos therefore, we generally do not provide additional photos for our listings. Will you accept watch trades? Since we are currently only selling brand new watches, we do not accept watch trades at the moment. Can you add/remove links on the bracelet? We do offer any watch resizing and/or adding and removing links and strap hole punch. Do you do watch repairs? 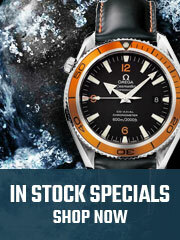 We do not offer any watch repairs currently. Please kindly check out your local authorized dealer or watch repair shop for services. Our office is located in San Mateo, California. Can we see the watch in person? We are not a retail store. 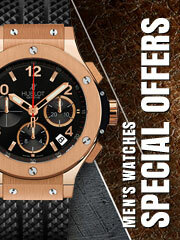 Please kindly check out the watch at an authorized dealer and then make the purchase with us. Due to California law, we have to charge 9% sales tax for shipments shipped to California or picked up at our San Mateo office. Can I pick up the watch at your San Mateo, California office? Yes, we offer pickup at our location. Due to California law, we would have to charge 9% sales tax for pickups at our office. Are your shipments covered with insurance? We purchase insurance for all of our packages. In case it gets lost in transit for any reason, we would submit the claim with our insurance company so that we are both protected. Do you have delivery confirmation? We require signature confirmation on all of our packages. Do you accept wire transfer? Yes, we accept wire transfer. Please contact us for more information. The watch I want is currently out of stock, when will it be back in stock again? Unfortunately, we cannot provide an exact time frame of when the watch will be back in stock. If you’d like, we can contact you once it's available for purchase. Please contact us if you are interested in being on the waitlist for a specific watch.